Ashu Pande is VP Product and Market Development at The Fabric. Previously, Ashu was founder and Chief Innovation Officer at PaySe, an off-line off-chain crypto currency solution and Executive Vice President at Nucleus Software Exports Limited. In a career spanning nearly three decades, Ashu has worked on various products in the mobile ecosystem from chipsets to handsets and most recently in IOT network infrastructure and edge security. Ashu holds a M. Sc. Electrical Engineering from University of Alberta and a B. Tech in Electronics Engineering from Birla Institute of Technology, Mesra. 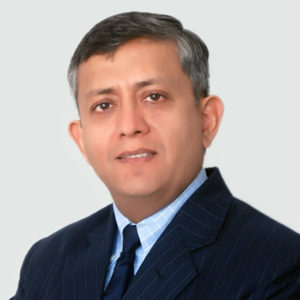 Ashu is a pioneer in mobile telephony and location technology and is named in over 60 issued patents in India, US, EU, Japan, China, Taiwan, Korea and Australia. Ashu is an advisor to Your Nest Angel Fund in India and has served on the board of SiRF (NASDAQ: SIRF), CSR India (London: CSR.LN) and Starscriber.